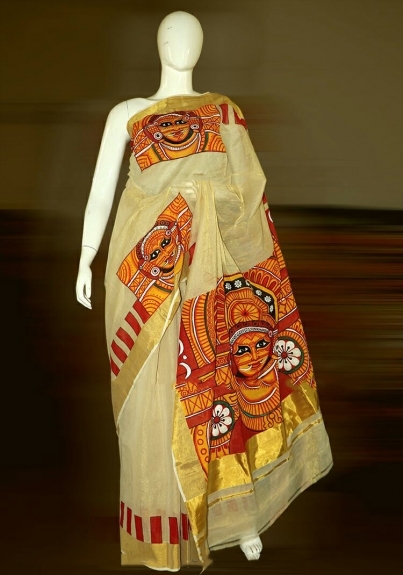 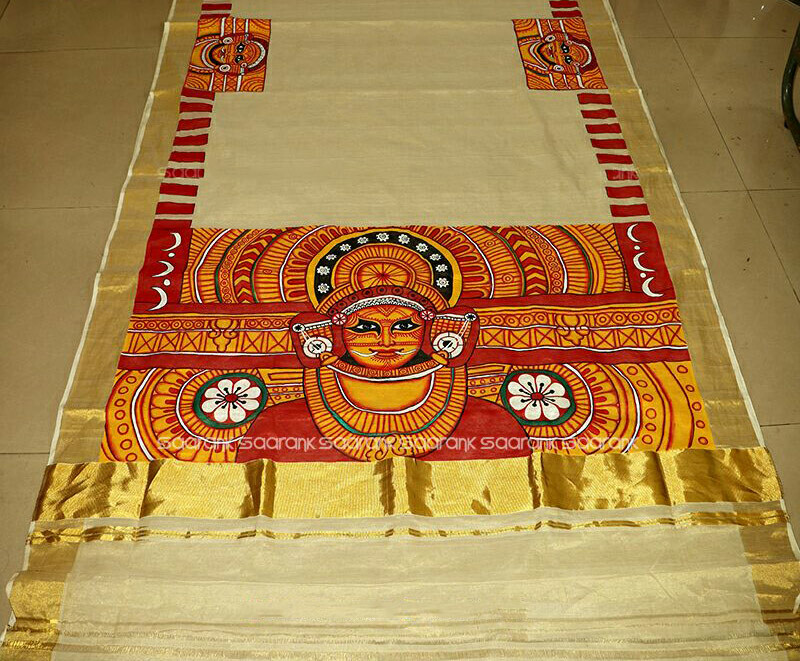 Each mural saree is unique as they are individually and painstakingly hand painted. Each one has a story to tell you; right from mythology to folklore. 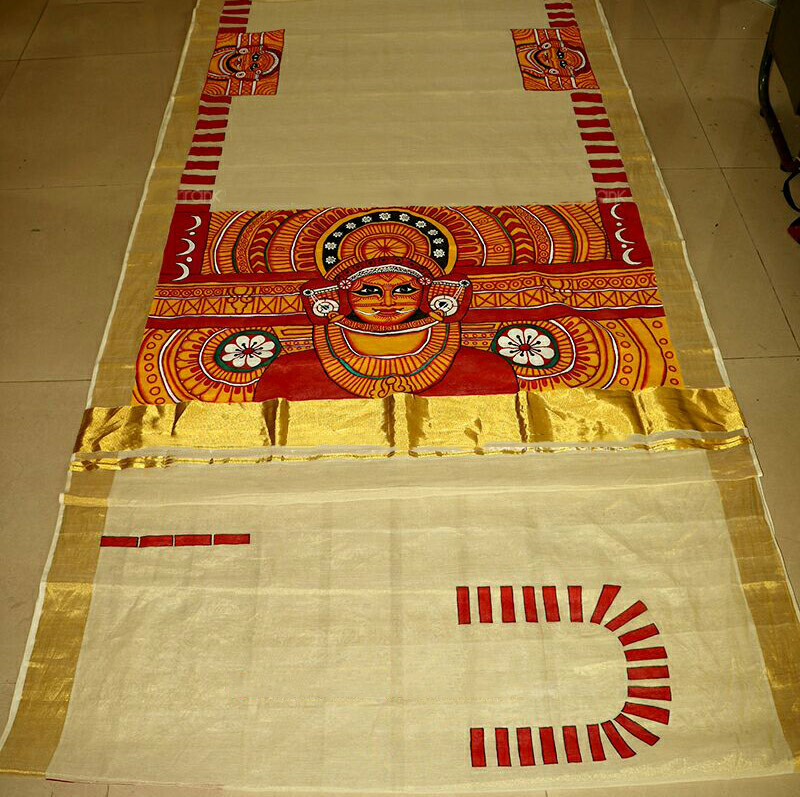 Creating this delicate mural painting of Theyam design in vibrant natural colours onto the pallu of this pure Kerala handloom kasavu cotton saree requires high level of skill and precision.